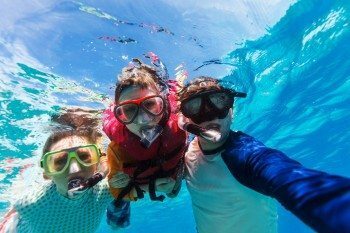 What to do at Key Sailing on Pensacola Beach? Take a Dolphin Tour on the Pelican Glass Bottom Boat. 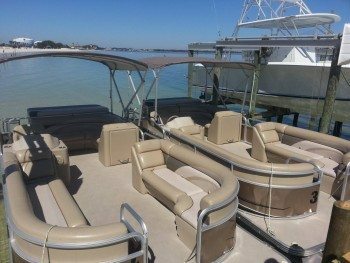 Book your own private pontoon boat adventure. Rent a Jet Ski on Pensacola Beach. 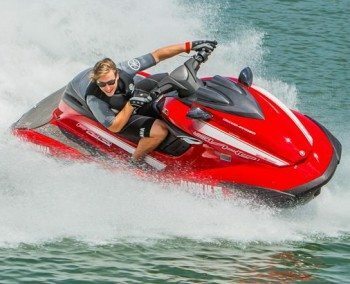 2015 Yamaha Waverunners! 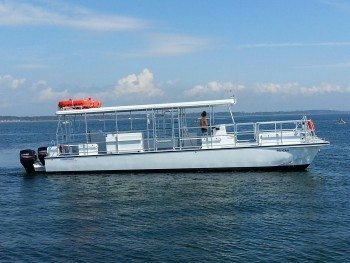 Book a snorkeling trip on the Pelican catamaran setup for easy swimming and snorkeling. 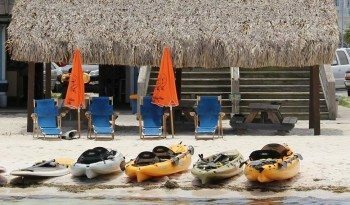 Rent kayaks right on our white sand beach. 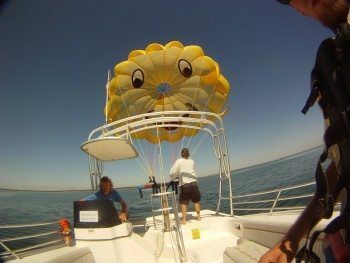 Come join the "Smile High Club" on our custom built Parasail boats.